It has been a long journey for Tai Chi from the secluded monasteries of China to gleaming fitness studios of the Western world. From being a part of the life of ancient Chinese monks, Tai Chi is now the fitness regime of choice of countless Westerners, from busy executives to busier homemakers and from college students to the elderly. You are probably familiar with the sight of people in groups, large and small, practicing Tai Chi in parks. So what is Tai Chi good for? 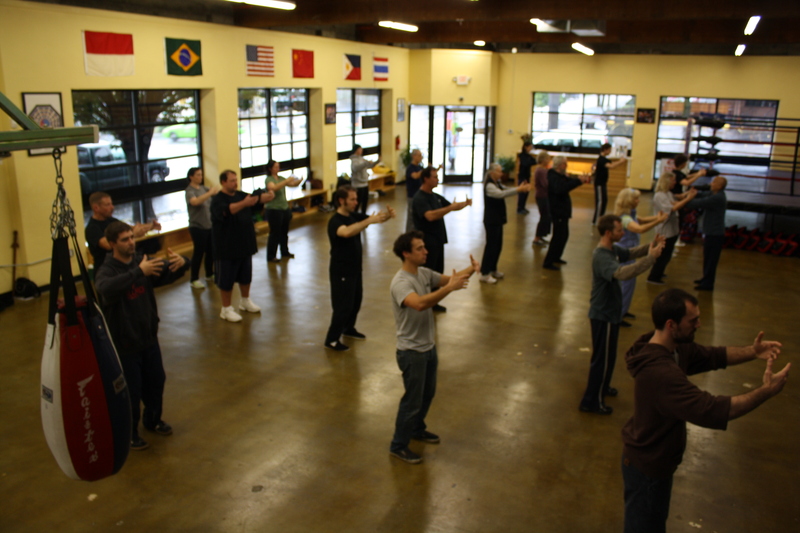 Tai Chi incorporates deep breathing techniques and meditative elements like being mindful of your movements and bodily sensations during the exercises. Deep breathing is a relaxing exercise. Remember all the deep breaths you took before stepping out on the field or meeting a recruiter? That was you trying to get a hold on your nerves. Centering your thoughts in the present moment keeps away hurtful memories, grievances about your lot, and anxieties over the future. This reduces mental stress, anxiety, and depression and makes you feel more at peace with your life’s situation. The secret lies in the nature of the Tai Chi movements. Tai Chi originated as a form of martial art, so it is not surprising it contains movements to build muscular strength and endurance. Several scientific studies conducted on elder adults with less-than-average fitness levels prove that regular Tai Chi practice can improve upper- and lower-body strength. Tai Chi movements have also been shown to improve flexibility by strengthening the core region of the body or the muscles lying deep within the spinal area. The core area is like a pivot around which the body moves. A strong core makes you more flexible and prevents back pain. 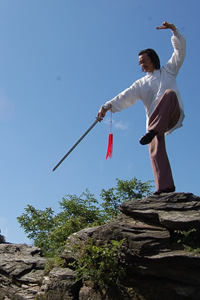 Tai Chi can also improve balance while in motion, even in individuals with balance disorders. This makes it an ideal exercise for the elderly who may be prone to slips and falls. Regular Tai Chi practice reduces the fear of falling and makes people more confident of their movements. They can be more active, do what pleases them, and improve the quality of their lives. Tai Chi is a gentle form of exercise that improves balance, coordination, flexibility, and muscular strength without stressing the bones and joints of the body. Unlike Yoga, there are no Tai Chi exercises where you have to lock your joints in a static pose. 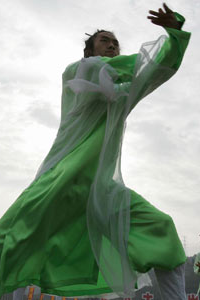 Your body is constantly in motion during a Tai Chi routine. This makes this exercise ideal for people suffering from arthritis and musculo-skeletal disorders, like Fibromyalgia, who cannot take up any strenuous fitness routine. 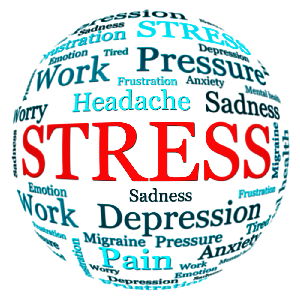 Mental stress and obesity are the two principal triggers of diabetes, hypertension, and heart diseases. Tai Chi keeps you active, in shape, and calm. It improves your quality of life, so you feel more peaceful. When you are happy and stress-free, you keep away some more diseases like skin and gastro-intestinal disorders. Tai Chi also keeps your brain active. 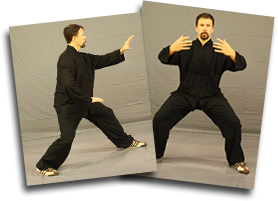 The movements in Tai Chi are complex and have to be remembered in sequence. So apart from being a gentle physical workout, Tai Chi makes the gray cells work harder. This boosts brain power. Tai Chi has been shown to boost brain functioning in the elderly and prevent the early onset of Alzheimer’s disease and dementia. When you wondered what is Tai Chi good for, did you think it has the potential to transform your life for the better? Tai Chi does exactly that. Learn more about what is tai chi good for?